As an agency that works mostly to a CPA target, we have always considered branding as a positive way to describe a campaign that has not come in quite on target. Branding and brand equity does definitely have value but up until now that value has been hard to calculate in a meaningful way. Google has released a great blog on new tools within the AdWords interface that help calculate brand measurement of marketing campaigns. – What did people do as a result of seeing the ad? – What did people think about the ad? How did the ad change their mind-set? – Did someone actually see my ad? And was it the right audience? Last year, comScore estimated that 54% of ads running on the web aren’t seen users. The reason for this could be that they scrolled past the ad, or never got to it. This opens up new placements on pages that would previously not be considered as they are maybe on pages with little traffic or placements below the fold on more popular pages. 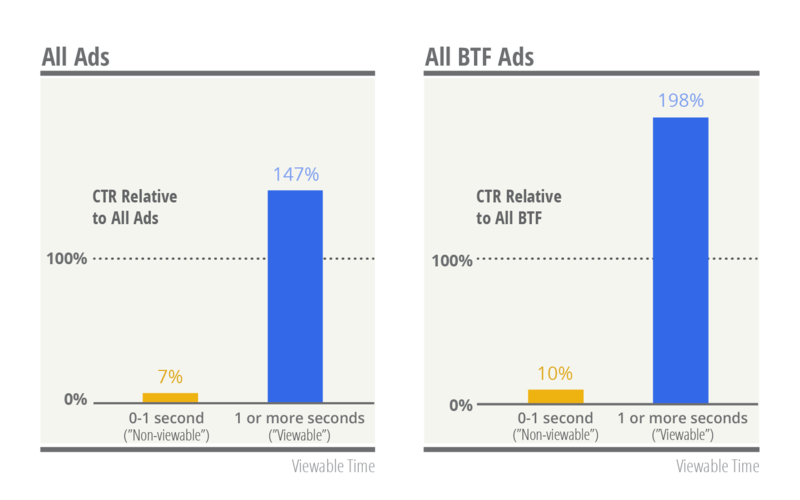 The graph above shows the relative increase in CTR if the page is viewed for more than a second. 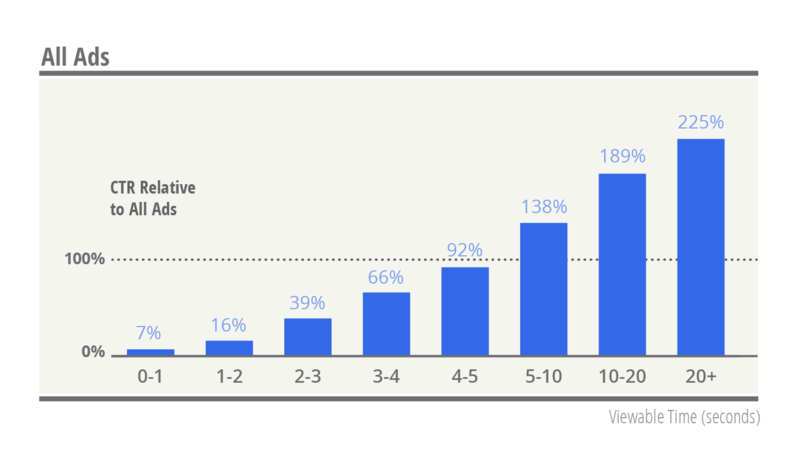 Although a nice feature this metric might be the same as removing all bounced traffic. We are still a little sceptical of this new GCN bidding technique. A system that would allow you to bid based on the average time on site by page might be a more effective method. TV marketers have been using the metric Gross Rating Point (GRP), as a way to measure the reach and frequency of their campaigns among various demographics. The GRP method has now been built into the Double Click ad serving products and can be monitored in real time to ensure that the correct demographic and the correct frequency or ad impression are shown to you intended demographic. This is really great stuff and the new demographic statistics that you get by enable the option in your Google analytics will make this data all the more valuable.